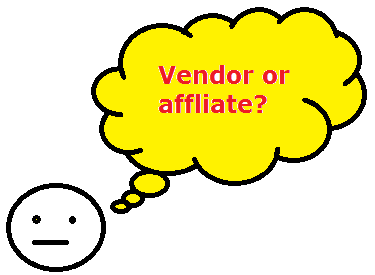 The Pros And Cons of Being an Online Vendor & Affiliate. I’ve been doing affiliate marketing for most of my years, but in addition, I’ve also worked with people as a vendor to help them get their products up and running. Product, business owners who wish to sell their stuff online. Big name companies are also great examples of vendors. Anyone who owns and sells their product on Amazon, Clickbank, any other network like it, is considered a vendor. Middlemen who sell vendor products for a commission. Typically the word affiliate is in relation to ONLINE middlemen. I am personally one of these (See my story). Most people who get into online marketing get started as an affiliate because they do not own any products. They want something to sell. This was the case with me when I got started and to this day, most of the work I do online revolves around being an affiliate. Unless you already own a product/service, I believe it’s best to get started as an affiliate. It’s much easier/faster and there are more paths available to you in the sense that you’re not tied down to promoting 1 product all the time. However, if you already possess some sort of business or maybe you have a personal interest/hobby, you can quite easily create a product out of that, package it and sell it to others. You can even get people to promote it for you as an affiliate. One of the best places to do this in is with places like Clickbank & Amazon. Having said that, let’s get into the pros & cons of each side. You own the product and control how it’s marketed/sold/priced. There is potentially a lot of money to be made as a vendor especially if you have tons of affiliates doing the work for you. It basically becomes effortless if you do your marketing correctly. There is potentially more long term financial stability in being a vendor since the money coming in is being done so on a regular basis. Having affiliates promote your product day in and day CAN provide you with financial security. There is a lot of initial work requires to set up your product (unless you already possess a business/website). Most of the time, vendors do NOT have an affiliate program available so if you’re going to have affiliates promote a product for you, you’ll need to either hire a programmer to do it for you (expensive) or sign up with some big name companies (Clickbank). Odds are vendors need to invest a lot time/money initially to create things such as: Website/product/affiliate program & monitor it. You can sign up with any vendor that offers an affiliate program and promote their products. There is a lot of leeway as an affiliate because you are not really monitored or regulated by the vendor. There is a lot of money to be made as an affiliate because of the large amount of products that are available to be promoted. There is much less red tape in being an affiliate because all you need to do is simply sign up with a program & promote it’s products. No need to own any product. Simply promote, sell and make money off those who buy through you. Proper guidance is absolutely essential to being successful online. Get that here. Affiliate work can take a lot of time to develop. 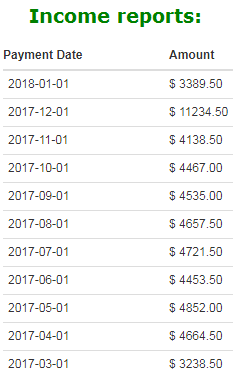 Not every affiliate program pays out a large percentage. Vendor vs Affiliate: Which is actually better? The truth is it depends. People who already own their own businesses or created a product and want to focus entirely on growing that aspect of their business should probably start off as vendors, whereas those who have no product/service should probably start as an affiliate. One thing that is VERY important to understand is that a lot of affiliate work actually compliments vendors in the sense that affiliates are what get the sales to the vendor. If you’re currently a vendor and you want to grow your business, but aren’t considering hiring affiliates to do it for you, you may wish to reconsider since the potential money you’d make with them is MUCH higher. I know of a man who wrote up an eBook helping people with a certain problem. He also collected an email list of people he personally taught to do affiliate work. His name is Travis Sago but in this case he used a pen name. When he finally created his ebook, he put it up on Clickbank.com and let his email list know that this product was available to promote and that affiliates could earn around $30 a sale (Not bad at all!). What ended up happening was that 1,000’s of affiliates began marketing his product and he just sat back and enjoyed the ride. Within a few years, this earned him several millions. It is also very important to note that he gave his affiliates 75% if the entire sale and even though he kept a smaller portion of the pie, this marketing tactic ended up doing very well for him. Now let’s use this same exact scenario and take the affiliates out of the equation. You’d then be looking at him marketing his product on his own, with little/no help meaning the sales he made in the first scenario (which is 95% at least) would be gone! I can point to other examples which illustrate this (see my success story on Clickbank as one of it’s many affiliates), but the main point is that again if you’re a vendor and you want to make more money, get affiliates and offer them more money per sale. This will lead to better results in the long run! Whether you’re a vendor or affiliate, one thing that is absolutely essential to understand is that you’re still building an online business regardless of which side you’re on. This means that in order to reach success, what is absolutely essential is proper guidance. This means known how to market your product/service or being the person that promotes it as an affiliate. Whichever side you’re on, the rules and marketing strategies remain the same. So while there are tons of additional pros/cons you can find on being an affiliate vs vendor, as I said before, choose based on your situation and preference. But whichever category you choose, know that in order to succeed, you’ll still be needing to use the same form of marketing. Hi David, you can promote any product on a site even if it isn’t yours, but it’s preferable that you DO have your own site so you’re in full control. Free sites can be made with places like Wix, WordPress, Blogger, Hubpages and other places like SiteRubix. As for becoming a vendor and informing people, you might want to try out Clickbank for this and create a digital product to sell. You would also want to have an email list set up where you let people know about your product so they can promote it. It’s a whole bunch of steps and really a build up process that isn’t easy, but it can work very well.